Never in a million years did this Black Coffee fan think that her dreams would come true. Yoza Mnyanda, a sound production graduate from UCT, couldn’t believe it when she had the opportunity to meet and record a song with one of her music idols, Black Coffee. According to Huffington Post SA, Yoza tweeted out a video of her singing one of her own songs called ‘Save Me from Me’. This brave woman took a chance by asking Black Coffee how many retweets would it take for him to agree to record together and guess what? He was game and agreed to do it. 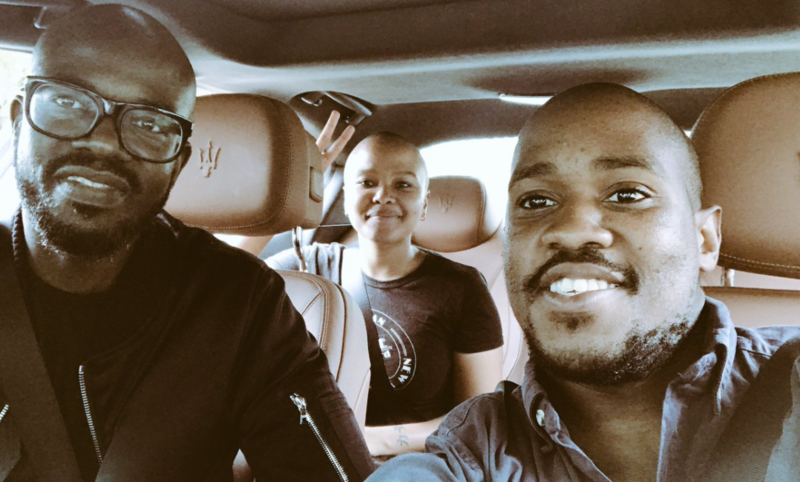 Yoza and Black Coffee got together to record the song in his studio on Monday and he even went on to tweet a video of him playing the track for his children. There is still no word on the song’s title or when it will be released. According to a video posted by Yoza, Black Coffee still has to add the final touches to the track.